Our Sterilisation Subsidy has finished! 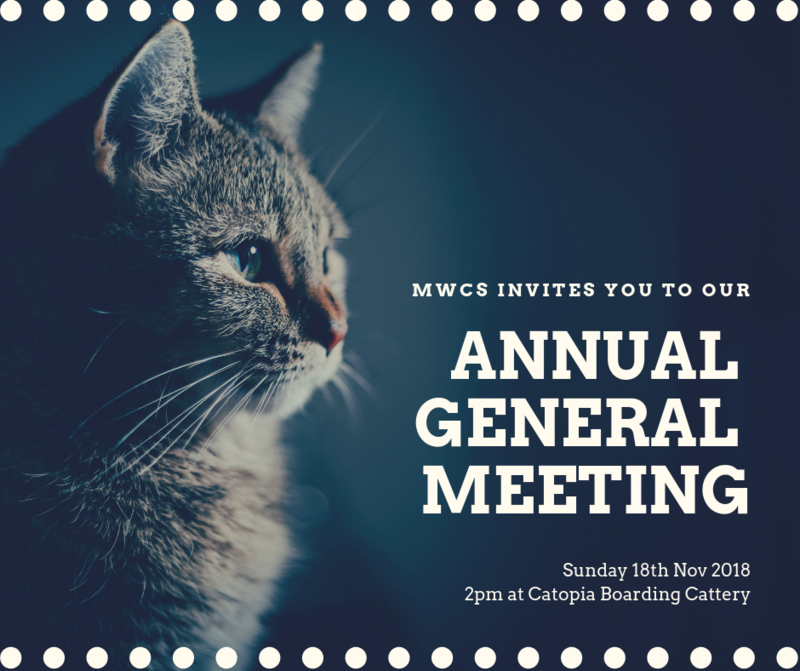 This is an invitation to the Mid West Cat Shelter Inc Annual General Meeting (AGM) on the 18th Nov 2018. It will be held at Catopia Boarding Cattery (23b Ridley Rd, Woorree) and begin at 2pm. During the meeting, we will be voting on the new constitution changes that all incorporated associations must update this year. You can find our proposed changes by clicking HERE. As a current member, you too have a vote. You can also place an absentee vote via email, or can vote by proxy. After the close of the meeting, we’ll be hosting a “bring and share” afternoon tea. We’d love for you to stick around for some tea, coffee and nibbles (and of course, a good chat!). We’re also advising we will have two general board member vacancies. If you are interested in nominating, or know someone who you feel would be perfect for the role, please contact us by emailing admin@midwestcatshelter.com or sending us a private message on Facebook. Previous board experience is not required, but a passion for cats and cat rescue is an absolute must! Thank you for your support over the past year, we look forward to many more fantastic years ahead with you! © 2018 Mid West Cat Shelter, Inc.